Ananda, is Marcos a hero or a villain? On September 21, you will turn three. To us, your family, that day will always be a great cause for joy. You came to the world and brought color to our dull lives. As a child, you are carefree, fun-loving and adventurous. Your cheerful disposition and ready smile makes you a friend to all, both young and old. Fittingly enough, your name means “Eternal bliss”. But happiness is not what many Filipinos associate with the day of your birth. It is, at most, a day in question. When I was still working in Manila, we would usually spend September 21 by vilifying Ferdinand Marcos, the iron hand behind Martial Law-—recounting him as a sinister dictator, a scary monster, a shame. The younger generation of Filipinos, apathetic they seemed to be, were admonished not to forget the lessons of Edsa and to value their freedoms. 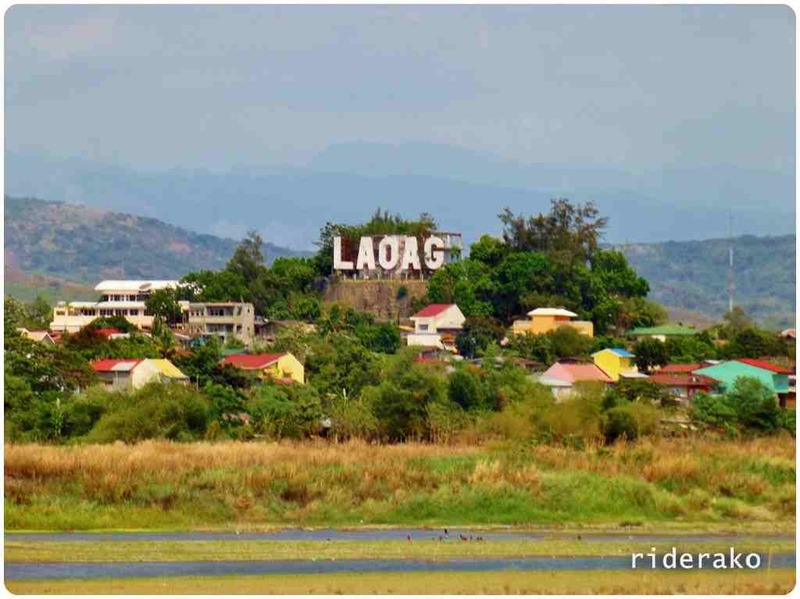 When I moved here in Ilocos and taught at MMSU, the story was totally different. Everyone was lamenting at how Manila-based historians, academics, and opinion makers have been very unkind to Marcos. My colleagues, who conducted a research on how the common Ilocano recounts Marcos, attest that people here only have words of adulation on the greatness, sincerity, and visionary leadership of this great son of the North. Was Marcos a hero? Twenty years ago, the answer was an easy NO. In 1986, Marcos was sent into exile and the nation heralded the dawn of a new era in Philippine democracy. As I write this piece, it is September 11, the birthday of Henry Yumul—my kuya, your lolo. But it is also the birth anniversary of Ferdinand Marcos, and for which reason this day has been declared a special non-working holiday in Ilocos Norte by virtue of a presidential proclamation. Justifying the declaration, Malacañang said that it meant to “exemplify the leadership of the former president to be emulated by all leaders, youth and the future generation”. You see, Ananda, yesterday’s villain could be today’s hero. Sociologist Peter Berger was right: the past is malleable and flexible, changing as our recollection interprets and re-explains what has happened. This is also true in the case of Erap Estrada, an ex-convict. In 2001, he was booted out of office on allegations of corruption. Today, however, Erap sounds like a statesman when he speaks, and Gloria Arroyo makes it possible. With corruption many times more rampant and unabashed in the present presidency, Erap now looks like a saint, and our people begin to look at Edsa 2 as a big mistake. Don’t get confused, Ananda, Edsa 1 is different from Edsa 2. In fact, we even had a third version. This is not unexpected in a country in perpetual search of a Messiah. When Cory Aquino assumed office, everyone was in high hopes. It looked like the rebirth of a new Philippines. Alas, Cory missed that chance. Our economy dipped further, and the nation was in for more darkness, not only because of the frequent power outages during her term but more because our people, failed with their expectations, felt like flies that jumped out of the pan and into the fire. The people thought Marcos was the enemy and that everything will turn out right without him. They were wrong. Still, Cory Aquino, simply by ousting Marcos (thanks to a disloyal military, the church, and the US of A), has been extolled several times as a hero, landing in the cover of Time Magazine, and being listed alongside Ghandi, Mother Theresa, and the Dalai Lama as Asian greats. Never mind that the Mendiola massacre that killed militant farmers happened during her time, and never mind that a toothless land reform program resulted to the death of tenants in the Cojuangco family’s Hacienda Luisita. Fidel Ramos came later and promised us the gateway to dream paradise that was Philippines 2000. The life and of Mang Pandoy (God bless his soul!) is a sad proof that we were, then again, just taken for a ride. Then Erap, then Gloria… until the next Messiah. The 2010 elections is just around the corner and candidates are now beginning to posture themselves as the hope, the answer, the future. 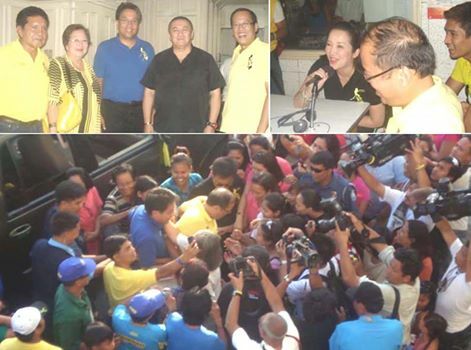 I have a suspicion that Juan de la Cruz will again fall in the same trap of empty promises and blatant lies. Redemption remains elusive. The Marcoses are back in power and in style. Imelda who, to this day, is innocent in the eyes of the law, remains graceful as a swan. She has bounced back in good form. The Marcos children and kin have returned to power as well. They have moved on. But how about Cory? It escapes me, Ananda, why Cory Aquino, to this day, cannot find it in her heart to forgive the soldiers who were implicated in the assassination of his husband 25 years ago. We all know that those lowly soldiers, if indeed they participated in Ninoy’s murder (the solicitor general opines that they did not), were just pawns of still undetermined masterminds. These foot soldiers have languished in jail for over two decades, and their families have tremendously suffered as well. Cory has become president, her son Noynoy is now a senator, and Kris Aquino has long been torturing us with her annoying presence on television—what else could Cory ask for? Meanwhile, the remains of Marcos remain in a refrigerated crypt. His being laid to rest still depends on public opinion and political alliances. Erap would have given a green light to a decent Marcos burial at the Libingan ng mga Bayani had he not chickened out to public opinion. If only Erap knew that he would be ousted anyway, he would have done that one brave act. It appears that the Marcoses are now allied with the Arroyo administration, but the president from Pampanga has enough controversy to last for ten lifetimes, the least that she needs is another reason to be hated all the more. “It doesn’t matter the place anymore at this point in time. If you’re a bayani [hero], you are a bayani wherever you are,” intimated Imelda Marcos recently. You see, wisdom comes with age. Hey, don’t ask me about Justice Secretary Raul Gonzales. Of course, there are always exceptions. Love is known to defy reason. It is enough to think that Marcos loved us Ilocanos dearly, and that it is but fit that we show our love for him in return. Marcos was no saint. Like everyone else, he too had his own share of excesses and shortcomings, but to say that all he did was evil sure sounds unfair. You will soon be aware that we, members of your family, also have our own share of follies. I am confident though that our love for each other is enough to help us see the best in each one. Be inspired by our feats but make sure you learn from our mistakes. But let’s call a spade a spade. To me, at least, Marcos was an outstanding social architect. He knew just exactly what he wanted for our country and he had a blueprint on how things can get done. From infrastructure to participatory democracy to Cultural Revolution to educational reforms and values reorientation, Marcos did more than his fair share. One of my students at MMSU commented that Marcos was not a good leader because everything he did was only for selfish ends. It made me wonder if the student knew that his enjoyment of excellent education in the state university is due to the late president’s labor. It is either that his remark was born of ignorance or that his English professor needs to clarify what “selfishness” means. What then is the truth about Marcos? “There are no truths, only interpretations”, says the German philosopher Friedrich Nietzsche. To tell the truth is to tell a lie. We Ilocanos have every right to write our own version of history, but we have no right to brand other versions as lies. There are as many truths as there are many people who search for it. You can only convince a person whose loved one disappeared for eternity (desaparecido) due to political reasons during Marcos’ time that Martial Law was a gift from heaven as much as you can make people, whose lives Marcos brightened, believe that his regime was a time of darkness. But even people’s deepest convictions change. Uncle Gerry, who was a student activist during Martial Law, was incarcerated in the 70’s for joining the resistance movement against Marcos. Today, he is one of the staunchest defenders of the former president. You should only talk to Uncle Gerry about Marcos if you have at least five hours to spare, although I still doubt if such time would really be enough for his narrative on the greatness of the man whom Carlos P. Romulo extolled as “The quintessential Filipino”. I am not sure, Ananda, how your generation would look at Marcos. But let me warn you: don’t believe everything that you read in books. All the more should you be cynical about the information you get from media. Remember that even popes commit mistakes. Yes, you should not even believe everything that I am saying here. As man’s search for truth is a lonely and painful sojourn, we can only provide you with tools of discernment. The world is unkind to the vulnerable and weak of heart. You were born on September 21, a day of many questions. But when we see you play, hear you laugh, witness you explore the world, and watch you sleep soundly at night, we shed off our cynicism, forget about the painful crisis that besets our land, and begin to believe that, yes, there is still hope. Ananda, you are an answer. Happy 3rd birthday, dearest child. We love you. Author Herdy La. YumulPosted on September 15, 2008 January 24, 2009 Categories Ananda, Heroes, MarcosTags Ananda, bayani, dictator, dictatorship, hero, heroism, Ilocano, Ilocos, Ilocos Norte, Imelda Marcos, Marcos, Martial Law6 Comments on Ananda, is Marcos a hero or a villain?